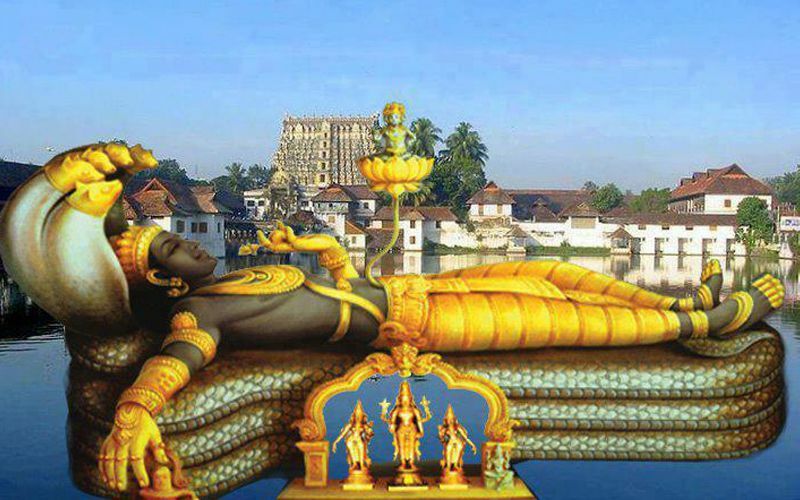 In the month of May 2011 when first time world’s biggest mysterious ‘Ancient Divine Treasure’ of Sri Anantha Padmanabha Swamy was found in the Five underground secret vaults of Sri Ananta Padmanabha Swami Temple in Thiruvananthapuram in the south Indian state of Kerala, it made temple to be the most wealthy temple in the world by $22 Billion worth assets by an approx calculation. But, the highly sensational aspect of this entire factual episode was about the mystery behind 6th Secret Vault or Chamber-B in the underground, that created a lot of enthusiasm around the world as several mysteries surrounded with this chamber. 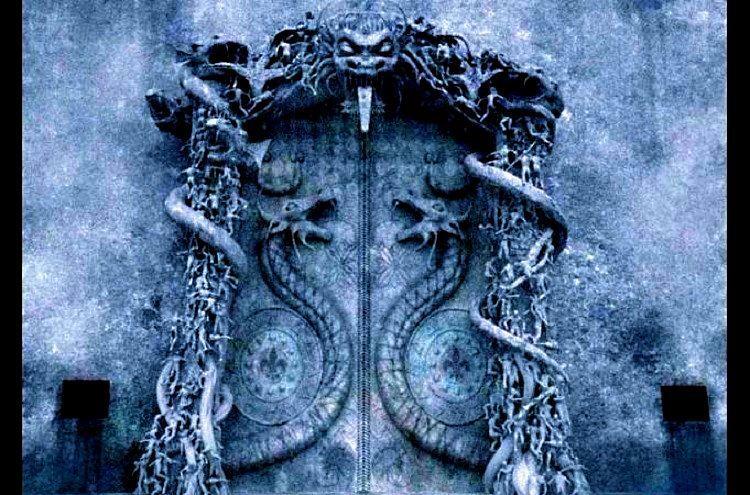 Because this 6th Secret vault is considered to be highly mysterious, sacred, risky and dangerous to unveil it, because the steel door of the Chamber-B is having two big Cobra portraits on it, and this door have no nuts, bolts or other latches. The door is fixed to the secret chamber with the ‘Asta Naga bandham’ Mantras by the then ‘siddha purashas’ (the persons who acquired certain divine powers) lived during the reign of King Marthandavarma of 16th century. Now the mystery behind the B vault again came into picture by the supreme court order to open it. What all the Problems notes and myths behind the B vault….? B vault, highly mysterious, sacred and risky and dangerous to unveil it. Because the steel door of the Chamber-B is having two big Cobra portraits on it, and this door have no nuts, bolts or other latches. It is considered to be fixed to the secret chamber with the ‘Naga bandham’ or ‘Naga paasam’ ‘Mantras’ by the then ‘siddha purashas’ lived during the reign of King Marthandavarma of 16th century. A door of such secret vault can be opened by a highly erudite ‘Sadhus’ or ‘Mantrikas’ who are having the knowledge of extricating ‘Naga Bandham’ or ‘Naga Pasam’ by chanting ‘Garuda Mantra’. Except in that way, the door can not be opened by any means by anyone. At present no where in India or in the world such highly sacred and powerful ‘Siddhapurshas’ or ‘Yogis’ or ‘Mantrikas’ who does know how to execute highly sacred ‘Garuda mantra’ are existing. Travancroe- A guide to the Visitor by Emil Christ Hatch published by Oxford University Press in 1933 had claimed that vault B had been opened in 1931 in the presence of then ruler of Travancore, Maharaja Sri, but it says “the door with snake symbols they tried to open, but it failed and several snakes came out and run for lifes”. 2004 , Tsunami…. It doesn’t hit to the shores of “Shangumukham beach”. The ancients writing says the failure on the B valut will open a door to “Shangumukham sea” and the water will come inside and there is a connected valves between all ponds and rivers in trivandrum it will cause a huge flood in the city. Opening of the door, as of now the door have a secret lock that can be open only by the specific words and specific music played in a fixed format, no one lives or there is no records to find out this. Breaking the door next to the main place of temple will cause major damage or collapse. Behind the myth something is real by seeing the formation of door, some proof even says the chamber is compressed with “ Argon Gas -atomic number 18”, this is used to light up bulbs. Direct opening of chamber without proper way may cause the complete fire and loss of documents inside the chamber. What is inside B vault…? Other easy open doors (comparatively less efforts, officials says each door took a day to open) contains $22 Billion, so the more complicated chamber may have 3-4 times more wealth. But some says it have only some secret documents and ancient writings, there is no gold and diamond. Anyway bottom line something secret still roaming around this door, and the supreme court appointed amicus curie is now at kerala, hopefully in a month the secret door will be revealed .